Get what you need when you choose from a variety of services that are designed so you can find the right match for your industry, household or function that may need trash/recycling removal. You are more to Sunshine Sanitation than just a number or just a house that a truck comes to. Trash removal is a service that you expect to be done right, in a timely fashion, and for an affordable price. We don't think that is too much to ask! We service the Greater Rochester area including: Rochester, Stewartville, Byron, Rock Dell, Racine, Grand Meadow, and Leroy. If you need service in this area, give us a call first. Don't think of your trash bill as just another expense. With Sunshine Sanitation, it's an investment in your community because we give back to the communities that we service. Thanks to our customers, we have been able to donate to many local groups and charities. Listed below are just a few of the groups we have helped. For donation requests, please fill out the donation form on the forms page. 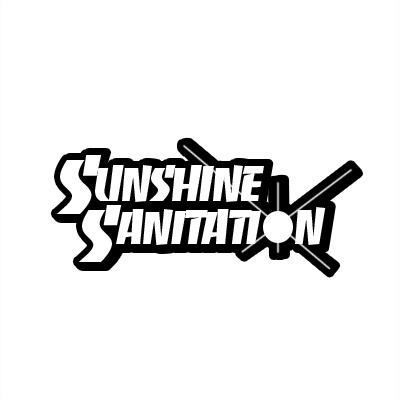 Here is just a short list of some of the organizations Sunshine Sanitation has helped: Join the Journey, Sprint for a Cure, United Way, March of Dimes, cancer events, Alzheimer's Association, Diabetes Foundation, Rochester Women's Shelter, Safehaven Pet Rescue, Stewartville Athletic Dept., Rochester MN Youth Hockey, American Legion. Along with many other charities and donations too numerous to mention, This great organization assists families with traumatic life events. They have ongoing events in the community, including the Booker Mini Foundation Fundraiser that happens on November 23, 2014. We're proud to provide support to this amazing charity. "Hiawatha Homes is blessed to have Sunshine Sanitation's support of the Festival of Trees! Each year the Festival of Trees benefits people with disabilities in Olmsted County. Thank you Sunshine for being a part of Hiawatha's family."